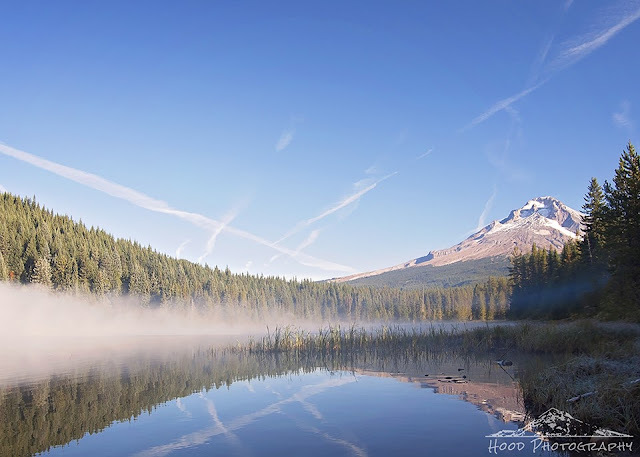 Here is one last photo from my recent camping trip to Trillium Lake. It was a cool alpine morning and there was a fog resting on the top of the glassy surface of the water. The first frost I had seen this season coated the grasses along the edge of the lake. Wow! That is a spectacular shot!